Ever wondered about the birth of movies? In 1895 the Lumière brothers invented the Cinematograph. The two engineers created something that was completely new for their time: a machine that could shoot, develop, and above all, project images. They were credited for inventing the movies. Like many of the Geronimo Stilton books, there is always something new to learn that will engage and educate readers. In this case the story focuses on the Lumiere brothers and their first attempt at a movie. But they did not know that they were being sabotaged by the pirate cats. The pirate cats wished to be the ones to be recognized for this amazing accomplishment in film. With the help of Professor Von Volt, Geronimo Stilton, Thea, Trap, and Benjamin go back in time to stop the pirate cats from changing history. 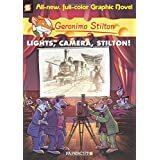 Geronimo fans will love reading the 56-page graphic novel Light, Camera, Stilton! though fans of the books will find some differences between reading Geronimo Stilton graphic novels and the Geronimo Stilton books. In the graphic novels many things carry over from one graphic novel to the next so if the reader didn’t read the other graphic novels they might miss some of the references implied. In the graphic novels there seems to be a different tone that is portrayed from Geronimo. 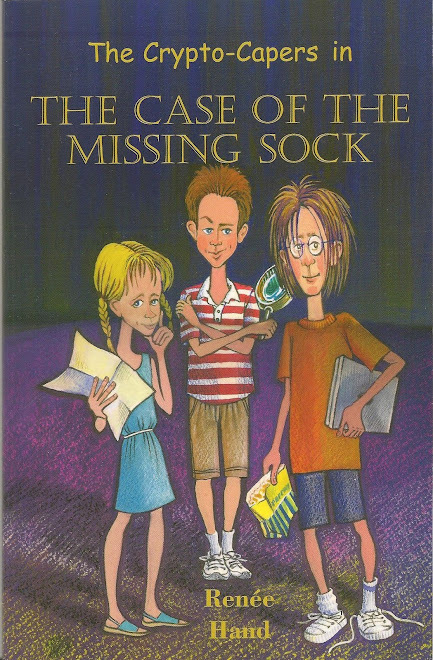 In the books he can be funny and silly, with the plot adventurous or mysterious in some way. In the graphic novels the tone is definitely more serious, though adventure or mystery is central and wrapped around a historical event, and of course the characters look a little different. The great thing about the graphic novel series is that they tend to have separate plots than the books, which is great for the readers and brings diversity. 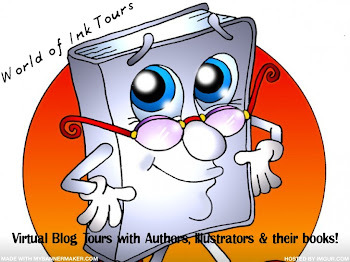 None of the stories are shortened or illustrated versions of the books. They each are unique and have different settings, plots, and educational value. Children who love history, and Geronimo Stilton, will like what this series teaches them.